per favore.... per cortesia, gentilmente.. please .. send me serial key Win 7 ultimate ? oppure link for crack !! Thanks a lot man.. it`s still working !!! How can I get one? Anyone got alink? Could you send me a product key for Windows 7 Ultimate 64-bit, please? School just started. Could you send me a product key for Windows 7 Ultimate 64-bit, please??? Could you sent me a product key of windows 7 ultimate build 7600?? Our where can I get one? Hope you will help me!! Hey there, I need the activation key plz!, thx in advance! and grate work! Can some-one send me the link or Product and Activation code for Windows 7 Ultimate 32 bit? I need a Product Key for my Windows 7 Ultimate 64bit. Please send me a product key for a Windows 7 Ultimate 64-bit Operating system. My e-mail is lily_ionita@yahoo.com. please send me the crack, thanks. Hi... I'm really in need of win 7 ult 32-bit keygen/crack. Please can you send me window 7 ultimate product key pls. 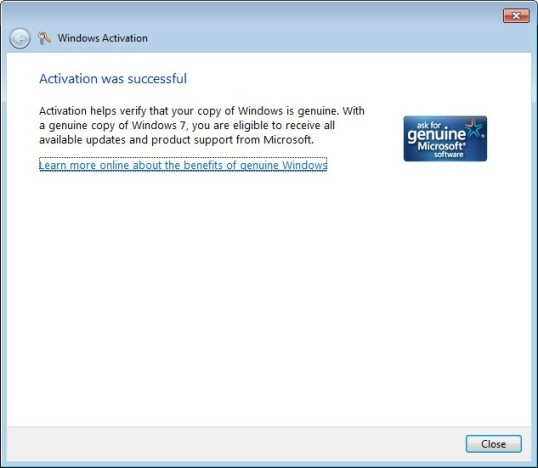 Please send me windows activation becoz my windows is a victim of not genuine (windows 7 build 7600). I will be thankful for this help . Please, send me activation validate product key.
? it says this copy of windows is not genuine? ? what im goin' to do? pls! help me? 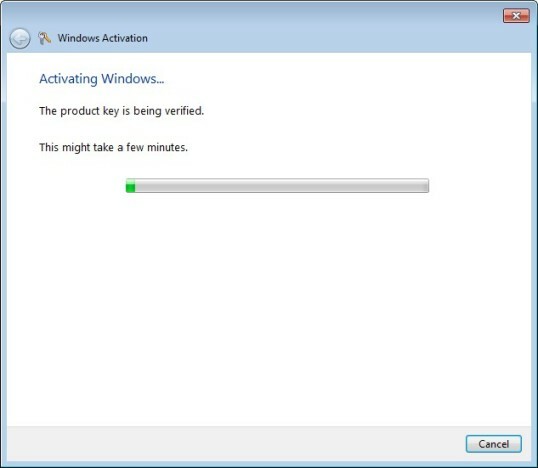 I install win7 ultimate 32 bit on laptop and now my windows has expire, Please help i the key for activate my windows. Plz give a the product key of windows 7 ultimate 64 bits my product ID is 00426-OEM-8992662-00006 plzzzzzzzzz! Can you please send me the activation code / Crack of the Windows 7 Ultimate 64bit???? Hello, I really need the codes for windows 7 ultimate have a laptop from brother that died 2 weeks ago and passwords went too.only have trial on but need the key now please help!!!!!!!! I have a copy of win 7 with self activating serial number. It does not work. I get the message "serial number not original" I need a good serial number or a serial number generator. Thanks. my os has been counterfeit..
my os has been counterfeit.. W7 built 7600..how can i rid of it..plsss help! Please help. I need a product key for Windows 7 Ultimate 64 bit. plz send me windows 7 64 bits product key ? Please, send the link for activator. 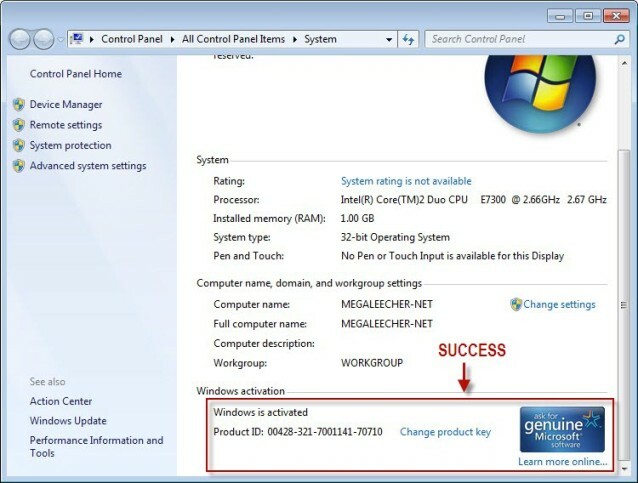 Please send to me on my email tseki4a@abv.bg activation key for Windows 7 Ultimate 64-bits. give the link to download windows 7 geniune activation crack please..
i have windows 7 ultimate x32 bits operating system and 7600 genuine act.production key. pls. send the activation code... ASAP... thanks!! I need windows 7 ultimate activator. 7601.. send to my email add please. I really need it.. I need windows 7 ultimate activator. windows 7 ultimate build 7601.. please help me. send me how can I activate windows 7. thanks a lot..
can u send me the offline windows 7 activator pliz? please send me the links for MICROSOFT WINDOWS 7 ULTIMATE,.THANKS A LOT. my product key is-00426-0EM-8992662-00400.can u give me my product key no. Hi, I have installed win 7 ultimate 32bit ,it was activated earlier with prouct key: 00426-OEM-8992662-00497 but now it is not genuine. Can you please give me my product key no. MY WINDOW 7 ULTIMATE IS NOT GENUINE AND MY PRODUCT KEY IS 00426-OEM-8992662-oooo6.PLZ GIVE ME A PROCUCT KEY SO I CAN MAKE GENUINE. Hi , i need to get a product key for my win 7 ultimate build 7601. Please send me one. you could be an angel, please i am begging you . windows 7 ultimate product key please!!! please send me a product key in my email :roselawlietf@gmail.com , i been trying to look over the net but they were all fakes. i wish u could help me with this. plz sent to me activation key windows 7 ultimate 34bit for acer..
Dear Sir Can you please send me the activation code / Crack of the Windows 7 Ultimate 32bit???? my product Id : 00426-OEM-8992662-00400. Please helm me i need product key for win7 Build 7600 64bit. 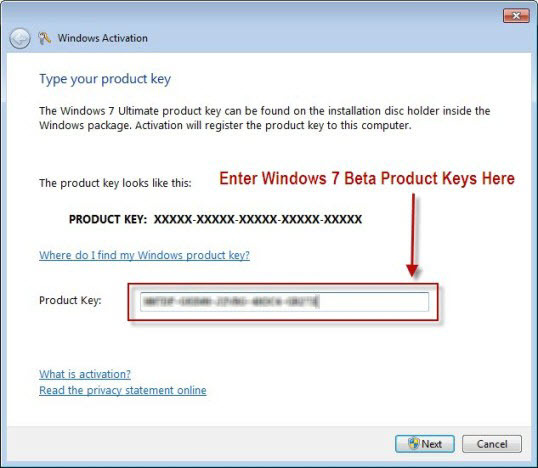 plz send me activation key for windows7 built 7600 32-bit ....product id:00426-OEM-8992662-00497.......PLZ HELP ME!!!!! Sir/ Madam, i require windows 7 64 bit activation key, pls frnd its very urgent. if i put any key it gives erorr in process 0xc004f050. plz send me windows 7 ultimate 64 bit activation key. thanks..
please provide the windows 7 ultimate 64-bit key asap. 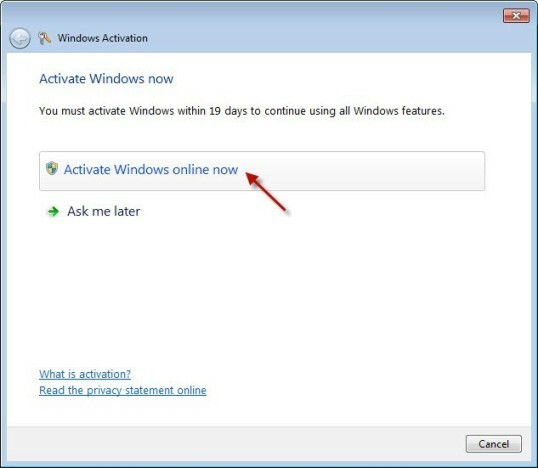 I bought a 2nd hand laptop about 3months ago, and it came with win 7 ultimate, it shows that windows is activated however a pop up keeps coming up saying to activate, it now states 3 days to activation. what do I do? cud u plzzz mail the windows 7 ultimate 32bit activation keys? any one please help me i have Windows 7 Ultimate, i have installed and i need activate, kindly help the cracked serail key for activation of Windows 7 Ultimate. I NEEN ACTIVATION KEY PLS GIVE ME.. Please help to activate it, my notebook left 23 days expire. want win 7 ulti productkey? I have Windows 7 Professional, which I bought. I have activated it on many of my machines, however, now it isn't activating. Is there some kind of hack out there that can solve this? Please send me the activation code for windows 7 ultimate in my email address skyjayraj2001@yahoo.com. can you please send me Win7 ultimate 32bits cracked key or activator on niyoyitatom@gmail.com. Professional 64-bit product key give me pls. Plz send me the key on my email id. i need to activate my windows 7 today. I won't / can't go into the details why pre-cracked (and other, such simliar) Windows installation files (ISO, or otherwise) are RLY bad for you. If you disagree, there's much I can do about it. HOWEVER, for anyone still struggling with the issue(s) of Windows activation, arguably the *best* Windblow$ activation method is: the Daz Windows Loader! What you *will* need is an ORIGINAL Windows ISO file that can be activated by the Loader. You can use an MD5 signature checker to confirm the validity of your downloaded file. Usually it's best to get the OEM and/or RTM versions. The Daz Loader supports Windows 7 and a few other versions, too! "Digital River" is the Microsoft online distributor, these days; download from them. It IS possible to use the Daz Loader to *fix* a previous -bad- crack, but it CAN get (a little) complicated. I'm pretty sure that it was a forum link and not a direct download, iirc.. Yet it was removed. Not sure what is the truth behind its removal? We have received DMCA notices from Microsoft for comments linking to articles which can help users circumvent copy-protection, and allowing these links in comments will make this website illegal and get blocked by the hosting company. Yes, sorz about taking my response (way) overboard - and thank you for the reply. I bought windows 7 ultimate 2 years ago and loaded it on my computer, no problems, computer crashed and I reloaded windows7 ultimate and now it says product key is blocked, I returned to best buy and they cant help me can you? Dear Sir i need Window 7 Professional Key for Activate My Window Plesse provide me a Genuine Window 7 Professional Key. Need an activation code for Windows 7 professional (64) Please! I've been trying non stop for hours and am ready to go insane. i do not know my product key can we help me...??? i need an activation product key. hi friend. Please send me windows 7 ultimate 64 bit key. Today is the last day. Please mail it to me. Can you send me a windows 7 activate key? No doubt, Windows 7 Professional 64bit is a Pro version of Microsoft, Which has all recommended functions, So you can install it with low specs of your system, As you can see; 1GB Processor, 512mb Ram and 8Gb HDD is required to install Windows 7 Professional, But with these low specs, Your system will not slow, If you're not using any apps, which required high specs. Using Boot into UEFI mode or legacy BIOS-compatibility mode when installing Windows from your USB, DVD, or network location, You'll have full command to use it after having a legal version. Legal OS will be full & functional with Microsoft updates and make your data safe and sound. Hope to understand. Microsoft released many new OS, But Still I'm using it and suggest for others to install with its legal license. For all of you above ! Windows that is non proper activated lacks features ergo ultimate win not so ultimate as being activated trough OEM Vendors and if hardware is not in vendor list then you have big problem if you need full blown windows with all the features one my need ''valid'' key isn't enough ! There is no intel (as some others mobo hardware vendors SuperMicro Tyan etc ... ) activation as intel doesn't exists in vendor activation list on such activators ! I have such problem and there is no key that overtakes that as MS on all particular hardware wants to be ''married'' locked down on all hardware with unique ID's ! With that enforced MS policy you have more and more trouble as you can not replace motherboard CPU and hard drive and expect win to work properly ! Its time to go to Linux no limitation to hardware and no nasty messing with mobo bios ! For all other if you do not want to have such troubles you need legal license and that for each piece of hardware on what MS may run ! Win7 lovers are screwed up - MS wants you to go Win10 when all the nasty MS stuff waiting for you ! MS has reinforced their policy to all the world out there and if you don't like it then only solution is other non MS OS ! Otherwise one my be very very skilled power user or even more to overtake that ! No doubt, As Windows 7 is the most recommended OS, Which through user can do almost all work without any problem. 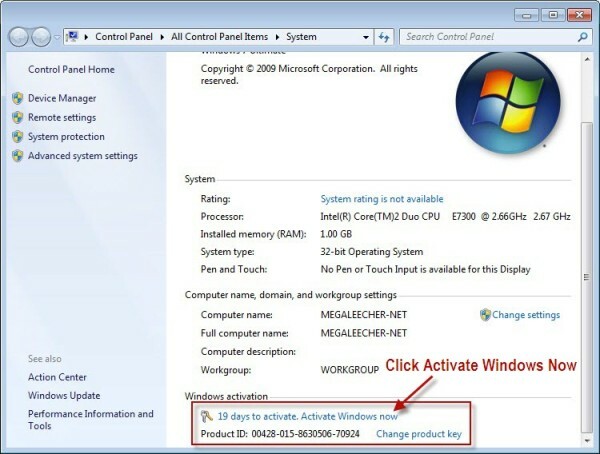 Activator can activate windows anytime, but it'll not connect your OS with Microsoft server to get updates, So you need to buy legal OEM product key. Just buy and activate your OS to get Microsoft updates with lifetime support. 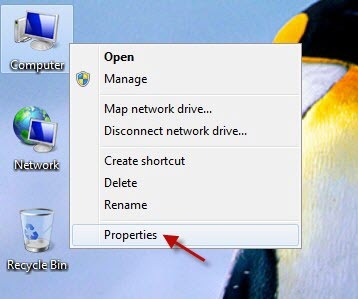 A user will get permanent OS Windows 7 Build 7601 activation by spending only a few minutes of his time. Please can someone send me a working key for Windows 7 Ultimate 64 bit edition? The genuine validation is driving me crazy. Most of the people will use it, so for that, I have some different tricks, For that, if you interested with it when you boot the device and after that, you will get some option and from there you will do it easily.